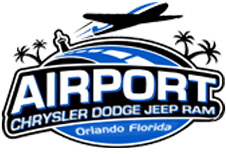 Airport Chrysler Dodge Jeep is a new and used dealership near Winter Park and Kissimmee, Florida that proudly serves Orlando drivers. Our friendly team of Jeep professionals encourages you to explore all the competitively priced options we have in store, like the new Jeep Patriot. This innovative ride is as unique as you are and comes packed with safety and comfort features. Explore your financing options today and get a hands-on feel of all the Patriot affords, visit Airport Chrysler Dodge Jeep or take advantage of our online inventory system to start shopping right now. With five eye-catching models to choose from, you're sure to find the Jeep Patriot that complements your needs. Allow the classic seven-slot grille to lead your way as the robust bumper, round headlamps and roof rails catch the attention of passerby's. The fog lamps are there for you during adverse conditions, as are the automatic headlights. From the body-color fascia to the impressive performance packages that add a touch more of style, your new Jeep Patriot brims with visual appeal. Customize your Jeep Patriot before driving off our Orlando, Florida lot, choose the seating surfaces that most appeal to you! The heated seats will warm you during those chilly winter mornings while the automatic temperature control ensures you and your riding companions can all comfortably enjoy the trip. The steering wheel-mounted audio controls enable you to stay connected to your Patriot without losing focus on the road while the SiriusXM® Satellite Radio caters to your entertainment wants. While you're here at Airport Chrysler Dodge Jeep, be sure to ask about the power sunroof options so you can enjoy those Florida summers and learn about the different Uconnect® systems that are available. Our knowledgeable team looks forward to walking you through all the impressive interior features the new Jeep Patriot boasts. Your new Jeep Patriot comes with a choice of engines; choose between a powerful 2.0-liter four-cylinder engine that offers a horsepower rating of 158 or step up to the 2.4-liter version to enjoy a 172 rating and a 165 pound-feet of torque. Our Jeep team will review the EPA-estimated MPG that comes on the trim and engine option you are interested in, and we'll happily review the all-weather capability features. From its impressive towing capacity to its Freedom Drive I™ system, the new Jeep Patriot is a stylish option that driving enthusiasts can't afford to miss. 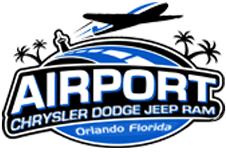 Airport Chrysler Dodge Jeep's inventory of Jeep Patriot models is fully stocked and ready to be explored, so make your way over to our Orlando, Florida location today! We'll walk you through all the standard and available features, getting you set up with an unforgettable test drive!